Courage My Love has a summer sale beginning Feb 15th where all of our stock will be reduced in price. This is a great time to get a bargain and support a New Zealand brand! 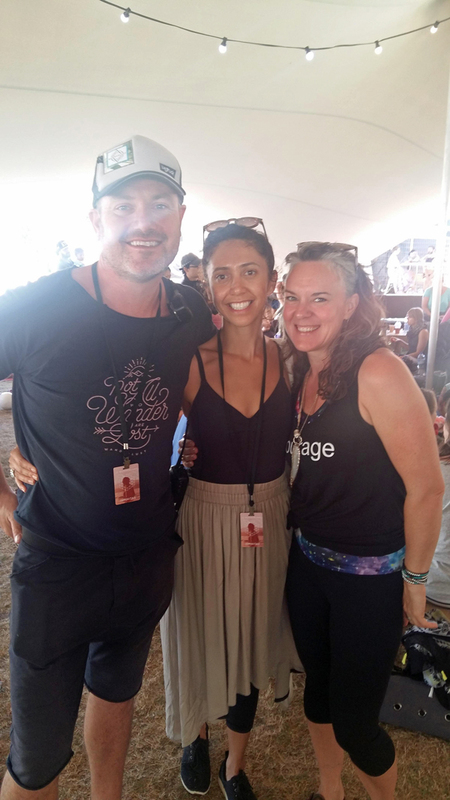 Wanderlust Festival began in North America in 2009 and moved to New Zealand and Australia in 2013 via the dynamic duo, Jacque and Jonnie Halstead. The first Wanderlust Festival I attended was 5 years ago in Stratton, Vermont in the USA. My sister and I attended the whole 4 days and had the time of our lives. It was the next year that Wanderlust had its debut in Auckland with Taupo-based festivals following over the next 3 years. Since 2012, I have taught at or attended a Wanderlust every year. 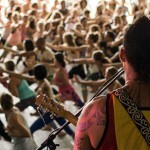 Wanderlust Festival is a yoga and music festival where you can experience everything yoga. They also have awesome live music. The schedule is jammed packed with several activities going on across the same time slot, beginning as early as 6am and continuing into the late night. Thousands of people attend and can choose from a variety of festival and accommodation options for every budget. Food and beverage options are plentiful and suit all diets and lifestyles. The Wairakei Resort in Great Lake Taupo has been the venue in New Zealand for three years running. Wairakei is a lush destination sporting hot pools and immaculate grounds. It also neighbours the turquoise coloured Waikato River, which spills from Lake Taupo. There’s no shortage of natural beauty to enjoy should you be in need of some grounding! This year, my intention at Wanderlust was to meet people. I intended to meet people with listening ears and open heart, to feel the subtle energies of openness and willingness in others who choose to meet me in the same way. Wanderlust Festival is a cacophony of stimulation, a riot of energy and a whirlpool of people both holding on to and letting go of themselves. All this in the transit of a busy schedule built around a powerful practice – YOGA. The evening before arriving, I soaked in a local natural hot spring in a remote farming village. Unfortunately, so did a gaggle of drunk teenagers. I observed my discomfort with the noise level, the foul language and their lack of sensitivity to the people and environment around them. A few times I held myself back from addressing all of the above and instead reflected on a conversation I had earlier that day with my business partner. We were discussing meditation and the many different forms it comes in. One of the ways to practice meditation is by isolating sounds and sensations and drawing all attention to one point of focus. While in the hot pool with drunk noisy teenagers, I practiced just that. I practiced presence by tuning my hearing to the sound of tree crickets, then the breeze in the leaves, the sensation of the hot water on my skin, the cool air on my face and so on. The teenagers became less of an annoyance and a smaller part of my experience. 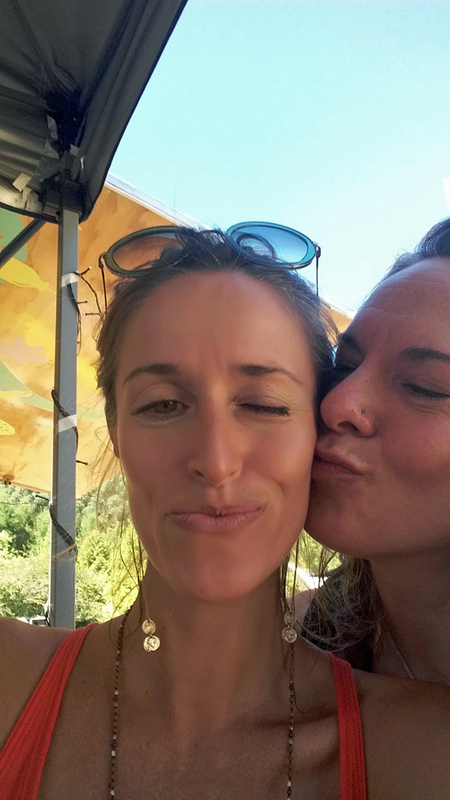 I share this story because it relates greatly to my Wanderlust experience. The Festival was attended by thousands of people and the volume of surging energy was high. I found myself repeating this meditation frequently! On arrival at Wanderlust Great Lake Taupo, I was greeted by friendly and enthusiastic people wherever I went. It was a smooth flow through registration and check-in. The vibe among the people was a mixture of excitement and anxiousness. After settling into my room, I took a few minutes before attending my first class to connect with the vibe. 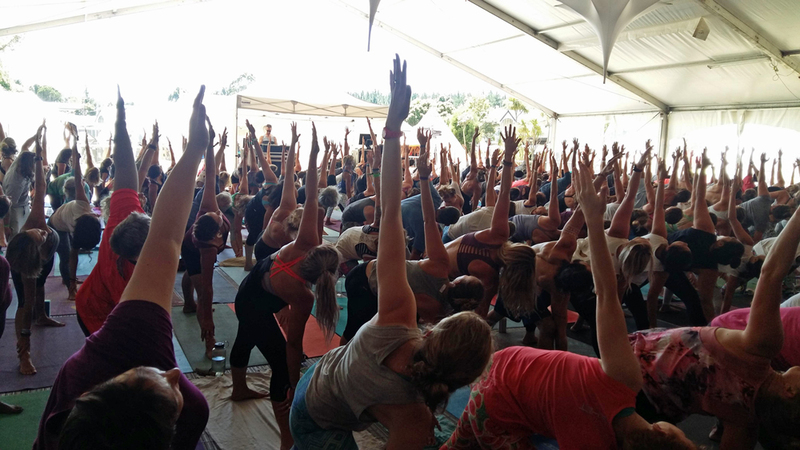 At Wanderlust, you get the unique experience of practicing yoga with hundreds of people at once. At first it was a little daunting as we all piled into a large space for some awesome teachers to share what they know with us. 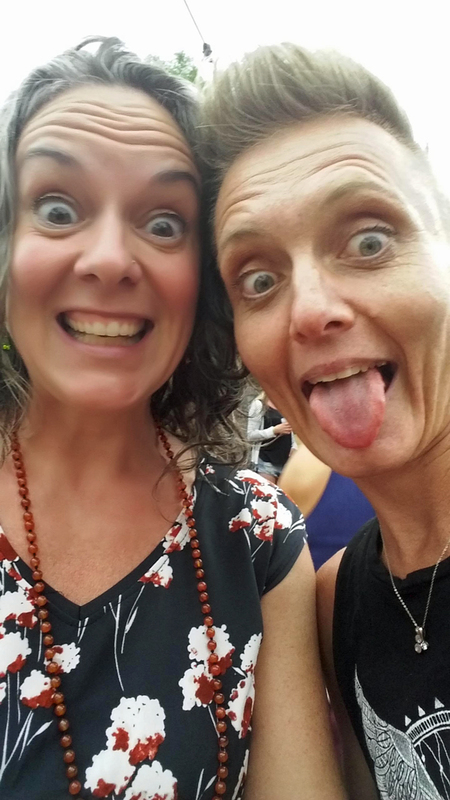 But I found I easily moved into my intention for the weekend – connecting – and soon made friends all around me while we waited for class to start. I let the thoughts come in and I breathed the thoughts out as I began to practice focusing on one thing – in this instance, my teacher’s voice and instruction. The practice of being present with that one thing meant I was able to drop into a space where my mind couldn’t easily distract me and my experience became intimate and whole. 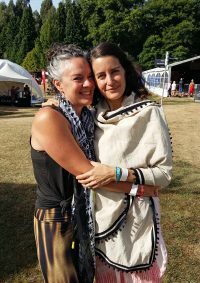 This happened the entire festival, whether I was walking from one venue to another, going for a swim, practicing yoga or dancing. 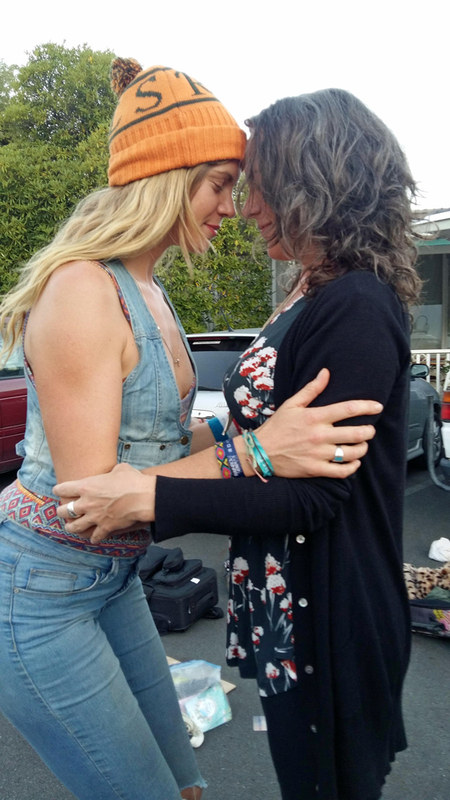 The initial acquaintance with my anxiety, followed by the practice of presence, resulting in heart-connected intimate experiences. In my normal life, I have spaces throughout my day of quiet, where I get to be with myself and practice my yoga. I’m not just talking about yoga poses, I’m talking about being present in my life. 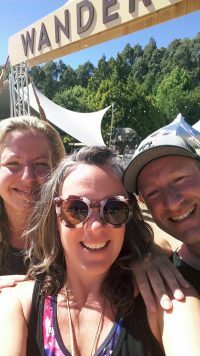 At Wanderlust, it was back to back stimulation and this sometimes left me feeling ungrounded or disconnected. The practice of presence helped me to stay grounded. If I was going to live my intention of connecting to as many people as I can, I needed to stay connected to myself! The lineup of teachers at Wanderlust is A-MA-ZING and the musical talent is mind blowing! I wish I could tell you about each individual teacher, about how they touched me and how I felt changed by what they shared with us. But I decided early in the post that I’m not writing a review about a festival lineup. I’m sharing my experience. Also, I didn’t get to attend everything on offer. To review or praise the teachers I was lucky enough to experience wouldn’t be fair to all the other ones I missed out on. What I found overall was that there are similar themes running through all of the classes over the four days. Combined, they have a snowball effect. One teacher’s teachings sticks and then another one’s builds on it and so on. Soon I was walking around with a profound sense of meaning from the combined teachings. The impact led me to feel really deeply about the event and the people. Wanderlust teachers are leaders in the community and have much to offer us. Diversity is a great way to describe the landscape of the lineup. Everything from deep, heartfelt yoga philosophy to practical movement to adventurous fun and more. Wanderlust Festival is a smorgasbord for the open minded, which inevitably leads to becoming open hearted in yourself. Yoga philosophy is not a religion and can be applied to everyday life. The underlying message is rooted in truth and compassion. 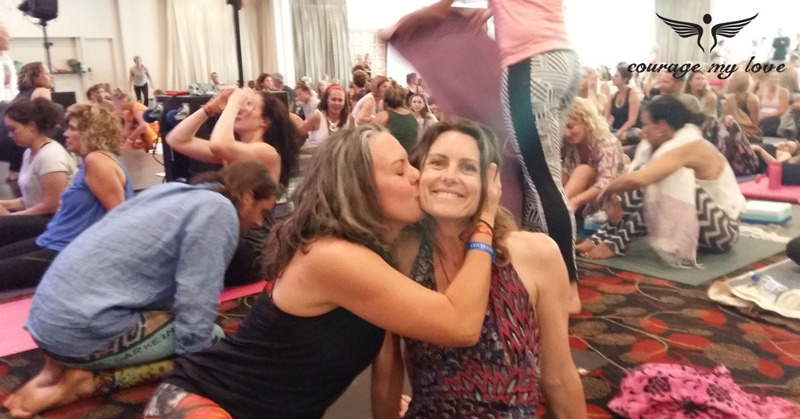 Through yoga, we learn how to thrive by living a life filled with meaning. We learn practices that can minimise suffering. Every talk, class or workshop I attended had a way of linking back to yoga philosophy. It was easy to understand because the teachers are most skilled at articulating the subject in digestible portions of laymen terms and examples. 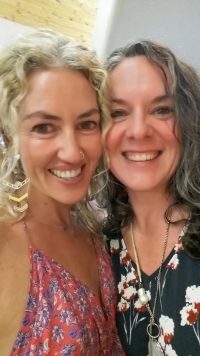 You could know nothing about yoga philosophy, attend a Wanderlust Festival and walk away with layers of profundity that may completely reroute your life’s journey over time. This, for me, is the magic of Wanderlust Festival and a testament to the talent the organisers curate for our experience. What looks like a party from the outside has a soft loving core that inevitably cracks even the hardest shell over the course of 4 days. The commercialisation of yoga has the benefit of reaching thousands while it is cloaked as a summer festival and stacked with celebration. When the dust settles, however, be ready to know yourself better, care about others more and feel a sense of connection to everything! 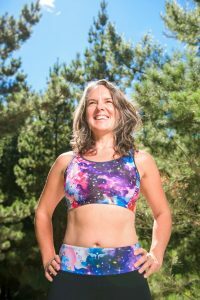 Christchurch based owner and Heart Director and blogger for Courage My Love, the New Zealand made designer yoga clothing brand. 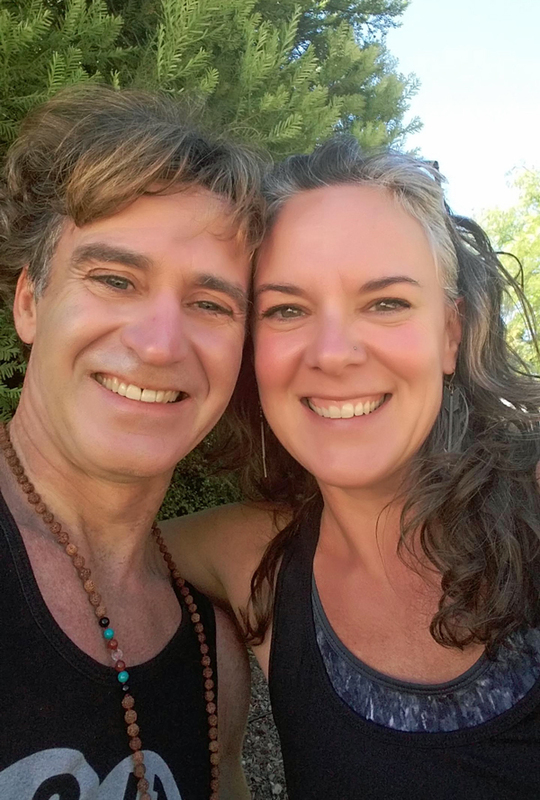 Persephone began practicing yoga in 1996 and started teaching yoga in 2011. An entrepreneur at heart, she has run her own businesses since 1998 in different industries. Yoga has been the perfect balance for her busy mind as she grounds the demands of a corporate life in her daily yoga practice. 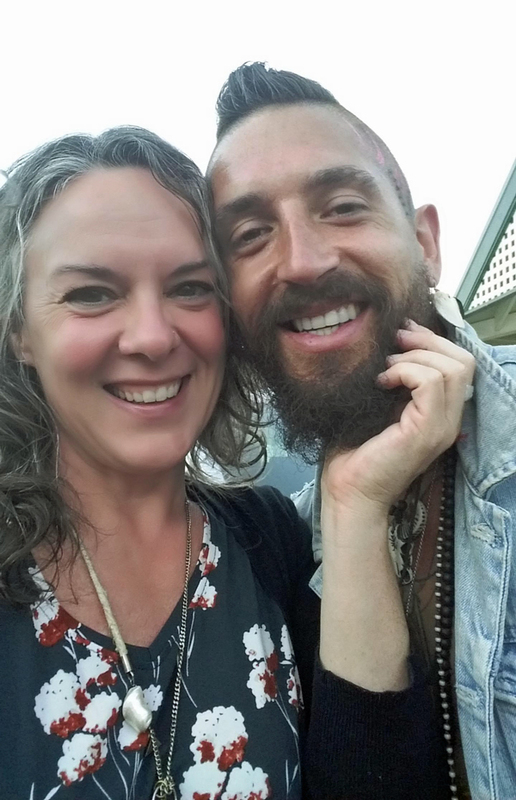 After major life and business changes came to pass immediately following the February 2011 Christchurch earthquakes, Persephone brought what she knew about yoga to the public as she stepped up to teach from the heart and ease the stress and trauma the people of Christchurch experienced. In 2015 Persephone aligned Courage My Love with Exercise New Zealand and together they have created The New Zealand Yoga Council and The Mind Body Award (NZ Exercise Industry Awards).